operates. However, adjusting these settings is not the easiest thing to do. The majority of them must be adjusted using the Control Panel, found at the path Start > Control Panel. Although the Control Panel is a good tool, it can sometimes be difficult to use. For the most part, when using Control Panel, you must toggle back in forth between numerous different windows to setup everything. This can be a pain when trying to find a specific setting that you want to configure. However, there is one other way that you can adjust settings on your Windows 7 computer, which gives you all adjustment options in one place… Windows 7 “God Mode”. After you are done, click the OK button to close the folder Properties window. Now, the folder should have changed from the default blank folder icon to a Control Panel looking icon. 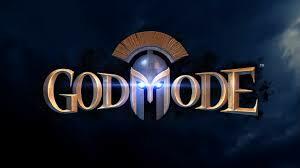 Double click on the “God Mode” icon to open it up. You will notice that it looks similar to the Control Panel window, with all options placed in list format. This is a great way to see all the available adjustments for Windows 7 in one spot. Now, you can jump to a certain setting and configure it easily, without having to go through a bunch of different Windows. When you click on a listing within the “God Mode” window, you will be able to go straight to the adjustments. Note the differences between the Control Panel and “God Mode” panel. If you prefer not to use God Mode, but would like to have a folder/direct link to the Control Panel on your desktop, that can easily be done as well. Click the start menu button, roll your cursor over the Control Panel link, right click, and select Show on Desktop from the secondary menu. That’s all there is to it, that is how you use Windows 7 “God Mode”, an easy way to adjust all settings for your computer in one convenient place.